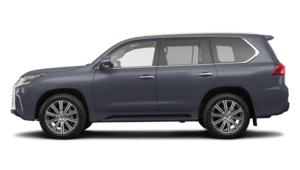 If you are looking for 2018 Lexus SUVs for sale in Montreal or in Laval, you will find them at Spinelli Lexus Lachine. 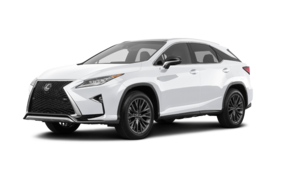 Easily accessible from the South Shore and Brossard, your Lexus dealership proposes 2018 RX 350, new NX 300, new LX 570, 2018 Lexus RX L and new GX 460 models. 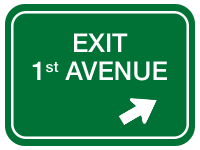 As well, you will find an outstanding selection of several Lexus demo and used Lexus vehicles. Among the 2018 Lexus SUVs for sale in Montreal, the 2018 RX 350 stands out by its amazing performances and handling. Comfortable and safe, it is equipped with heated and ventilated leather front seats and a Blind Spot Monitor with Rear Cross Traffic Alert. It is fitted with an all-wheel drive and its 3.5-litre V6 engine develops 295 horsepower. 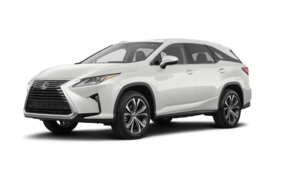 As for the 2018 Lexus RX L, that you will find amid the complete range of 2018 Lexus SUVs for sale in Montreal, a short distance from Laval or the South Shore, it is available in 6 or 7 passenger configurations with third row seating. 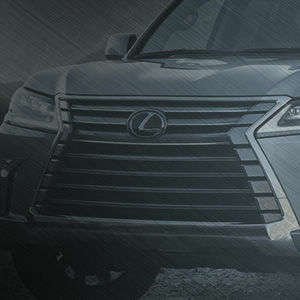 The RX L comes standard with the Lexus Safety System+, a voice-activated navigation system with 12.3” display, a power tilt moonroof and a panoramic view monitor. The Lexus SUVs for sale in Montreal, near Brossard and the South Shore, also include several new NX 300 models. Powered by a 2.0-litre turbocharged 4-cylinder engine, it develops a cavalry of 235 horsepower. The all-wheel drive system provides a drive mode select and an dynamic torque control system. Among others, you will find in its interior the Enform Audio system with an 8-inch display and a leather-wrapped steering wheel with paddle shifters. Among the 2018 Lexus SUVs for sale in Montreal, the 2018 Lexus GX 460, presented by your Spinelli Lexus Lachine dealership, offers to explore with you any type of terrain thanks to its four-wheel drive, its Kinetic Dynamic Suspension System, and optional features like Crawl Control and Multi-Terrain Select. The new LX 570 of the Spinelli Lexus Lachine collection are designed for travel in comfort and style, combining performances and refinement without compromise. The LX 570 can accommodate up to 8 people. It is equipped with a 5.7-litre V8 engine with a cavalry of 383 horsepower. It has a towing capacity of 3,175 kg (7,000 lbs). During your visit at Spinelli Lexus Lachine, near Laval and St-Laurent, you can request a test drive of the Lexus SUV that interests you. 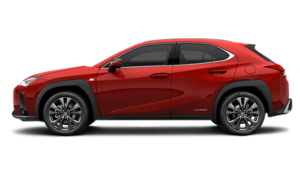 The Lexus financing plans and Lexus promotions presented by specialized counsellors at your Lexus dealership could help you acquire the Lexus SUV of your dreams.